We all aware of the pollution even thought I am just a occasional visitor to Shanghai. 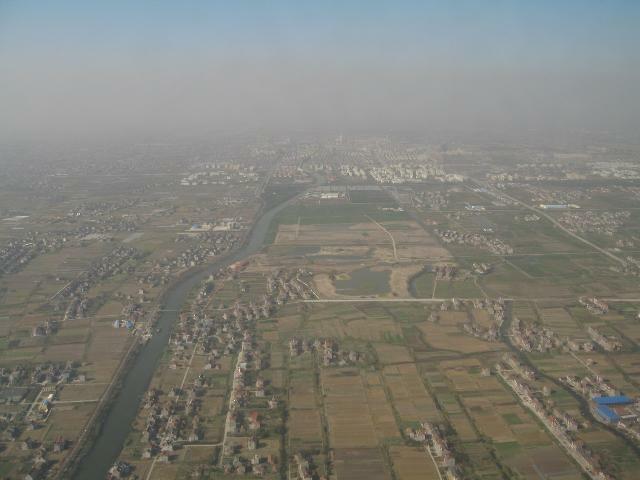 The smog overcasting Shanghai are contributed mainly by the coal fired power generators. Presently China burns more coal than US and India combine, but what can you do about it? Constitute an energy abatement program? or ask China become the signatory of Kyoto Accord? Either way will choke the economic growth of China. Nevertheless, I do hope the people the Shanghai can find the balance between the clean air and water and the comfort and wealth. For JS and Carsten, I admire you consistent effort on the ‘green’. When I was in China studying I got sick from the pollution. That is how bad it has gotten there. I don’t know the reasons either. I would guess it is cars, but I live in America and city have the size of most in China have more cars and it is no where near as dirty! (Except for Houston, which is the worst city in the world!) I love China and want to live there, I just hope my immune system can survive it! Well, Houston is not the worst compared to Shanghai. I was so depressed when I was in Shanghai because of smogs that I justed wanted to watch a DVD movie with some blue sky in it! The standards of gasoline and car emission actually are different. You can guess, in China, it is loose. Living on the 19th floor of an apartment right opposite Pearl tower and Jinmao Tower, we are witnessing how much pollution Shanghai has everyday by the visibility of the two landscapes. In some bad days, we could taste the thick pollution in our mouth, which make us really sick. It looks like London in history. Last summer when I was in Shanghai, I saw the pollutant deposited on tree leaf are light brown dust and to me it is distinctively sulphur, have Shanghai received their dose of ‘Acid Rain’ yet? Maybe we can do something for that…?